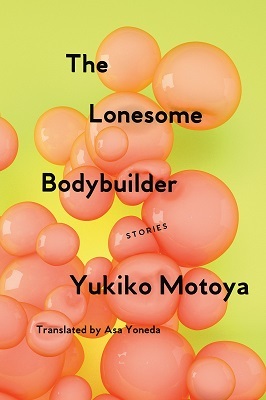 The following is from Yukiko Motoya's collection, The Lonesome Bodybuilder. The 11 stories in the collection follow individuals who lift the curtains of their orderly homes and workplaces, are confronted with the bizarre, the grotesque, and the alien, and are ultimately led to liberation. Yukiko Motoya's honors include the Kenzaburo Oe Prize, the Mishima Yukio Prize, and Japan's most prestigious literary prize, the Akutagawa Prize. This is her first book to appear in English. “He says his ex-wife’s been sending him strange garbled emails recently,” I said. We’d found a table in the seating area of the department store’s food hall. I was still thinking about the ex-wife following the refrigerator conversation. “You must be concerned,” said Hakone, sounding anything but as she took a pair of disposable chopsticks out of their packet. “Maybe I should have gone for that one too,” I said enviously, looking into Hakone’s bento box as I took the rubber band off my own. I’d brought her to the store, promising to buy her something new to wear, or anything else she wanted, but Hakone had headed straight for the escalator down to the basement food hall and asked for a bento. “I saw it on the local news the other day. They had a feature on department store deli eats, and the Spicy Fillet Steak Summer Set Bento just looked so delicious,” she said, flattening her plump eyelids in anticipation. Maybe partly because of the TV feature, the late-afternoon deli counters were thronged with people. Banners positioned around the floor advertised the Beat the Heat Bento Expo. I’d brought her to the store, promising to buy her something new to wear, or anything else she wanted, but Hakone had headed straight for the escalator down to the basement food hall and asked for a bento. Hakone swiftly referred to the floor guide and said, “This way,” and took off without sparing a glance at the stalls she passed. I followed, but never having been very good at walking through crowds, I kept barging into people’s shoulders, and by the time I caught up, she had already joined the line for the steak bento. I’d planned to just wait for her, but I saw a banner for the Special Selection Four-Eel Taste Test Bento and was tempted into getting one. It featured eel sourced from the Shimanto River, Lake Hamana, the Mikawa region, and Miyazaki Prefecture, grilled both with sauce and without. I carefully took a piece of each and placed them on top of Hakone’s rice. “I wonder.” What would you think if you saw his true form? I thought. I shivered, then looked up and saw there was an AC vent embedded in the ceiling right above my head. “Hakone, are you and Senta thinking about getting married yet?” I asked, getting a light blouse out of my bag. Hakone hummed and said nothing. She looked like she was giving it some serious thought. Her eyes were focused on the booth’s cloud-glass partition, but her mouth was still chewing away steadily at the steak. “Do you think he’s too immature? Is that the problem?” I asked. “Snake ball, huh?” I poked at a piece of grilled eel laid on the rice, and pictured a bright white ball covered in scales. I took a mouthful of grilled eel seasoned with plenty of sansho pepper. The Lake Hamana eel was firmer and more succulent than the one from the Mikawa region. I was secretly impressed by Hakone’s story. Whenever I’d gotten close to someone in the past, I’d had the feeling that little by little I was being replaced. The other person’s ideas, interests, and habits would gradually take the place of my own. Every time I noticed myself acting as though that was who I’d been all along, a chill went up my spine. The fact that I couldn’t stop, even if I tried, was proof that it wasn’t actually a matter of anything as benign as acting or pretending. Men entered into me through my roots like nutrients dissolved in potting soil. Every time I got together with someone new, I got replanted, and the nutrients from the old soil disappeared without a trace. As if to prove it, I could hardly recall the men I’d been with before. Strangely, too, the men I’d been with had all wanted me to grow in them. Eventually, I’d start to feel in danger of root rot, and would hurriedly break the pot and uproot myself. Was that the fault of the soil, or did the problem lie in the roots? I’d expected marriage to be an even more constricting flower pot than my previous relationships. But after four years, I hadn’t tried to escape from the soil that was my husband. Hearing Hakone’s snake-ball story, I finally felt that something that had been cloudy to me had become clear. All this time, I had been feeding myself to those men. By now, I was like the ghost of a snake that had already been eaten up by many other snakes, and I’d lost my own body long before getting swallowed up by my husband. Didn’t that explain why I didn’t much mind whether it was a husband I was living with or something only resembling a husband? One night, after dinner, I was surprised to notice my husband engrossed in his iPad rather than the variety show playing on the TV. “What are you doing on there?” I peered over his shoulder. There was no response. I gave up and cleared the table and went for a bath, but when I came back, my husband hadn’t moved. “Okay,” I heard a muffled voice say. I finished towel-drying my hair and stepped out onto the balcony to bring in the laundry I’d hung out that afternoon. The zelkovas planted in a clump just beyond the railing were overgrown with green leaves that looked like a neglected hairdo. I recalled seeing a circular in the mailroom about plans to prune the plantings. “Uwano recommended this game,” my husband said at last. “Let the cat do it. Go, Zoromi, go do it for her.” He moved the cat off the space beside him where she’d been asleep, and beckoned to me. Normally he was never this insistent. I guessed he must be feeling needy. By now, I was like the ghost of a snake that had already been eaten up by many other snakes, and I’d lost my own body long before getting swallowed up by my husband. My husband seemed anxious to make a snake ball with me. When he made me sit with him while he watched his variety shows, claiming it was more fun than watching alone, it had to be that he was trying to erase the chilly gaze that he felt I was directing at him. He probably thought that once he and I became one, he would never again have to worry about being judged by others. I sat down on the couch and looked at the iPad screen. I was expecting some cutting-edge visual effects, but what I saw was an image representing what looked like oceans and continents, drawn in simple lines like in old Nintendo games. Small discs of different colors twinkled all across the map. “Touch one and see,” he said, so I tried pressing on a brown disc with my finger. I heard a tinkling sound like coins dropping into a piggy bank, which I’d been hearing constantly all evening. I waited for something else to happen, but that was it. “Yeah.” My husband nodded while sucking on a strip of dried squid. I didn’t say what I was thinking, but he must have sensed it. “The answers to questions like that, for example. Hey, give it back if you’re not even going to play.” My husband took the iPad from my hand and sank his head back to the game. I fled from the tinkling of coins falling and the suckling sound of him chewing on dried squid. I could have understood if the game offered a vision of a wonderful world more exciting than real life. But what was so appealing about the insipid map that looked like a stage backdrop and its ever-twinkling coins? I thought perhaps the game got more interesting the longer you played, but whenever I looked over my husband’s shoulder, the screen always looked the same. It seemed that all he was doing was almost robotically placing his finger on the discs. Every time I would ask, “You really enjoy it that much?” he’d say, “That’s not what it’s about,” in a curiously languid tone. My husband looked up from the iPad for the first time in a while, and what I saw nearly made me shriek and run from the room. The positioning of his features was deteriorating faster than ever. 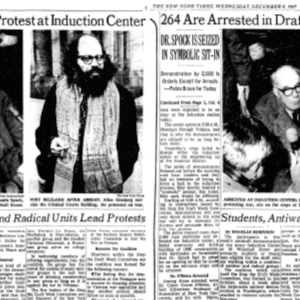 His face was barely maintaining a form that could even be recognized as human. “No,” I said. I was feigning calm, but my voice came out higher than normal. “Okay.” I turned on my heel and went back into the kitchen. There was a tremor in my hand holding the paring knife. When I served him the peeled pear segments on a plate, the husband-like creature excitedly reached for a cocktail stick. “You know, I think pears might be my favorite fruit,” he announced. How could he even see straight? The husband-like thing picked up the cocktail stick and popped a pear segment into the mouth, which was positioned perilously close to his jawline. His teeth must have been in their right place, because they made a champing sound as he chewed. “Aren’t you going to have any?” the husband-like thing said. I wasn’t sure that I wanted to. But it would have been suspicious for me to say no. When I sat down next to him, the husband-like thing picked up the TV remote and started flipping through channels. How could he even see straight? The husband-like thing picked up the cocktail stick and popped a pear segment into the mouth, which was positioned perilously close to his jawline. Instead of responding, I looked down and nibbled a slice of pear. “You did?” I said distractedly. That night, my husband left the iPad outside the bedroom. For the first time in months, his hand crept into my bed, under my comforter. I wanted to pretend I was asleep, but then he went to switch on the light, so I reached out and caught his hand almost by reflex. In the darkness, my husband swiftly removed my pajama bottoms. When I thought about whether the thing that had started to move on top of me was my husband or just something like him, I felt a terrible dread and kept my eyes firmly shut. Then I felt skin slacken, and bodies start to yield, and then I could no longer tell whose sensations I was feeling. Snake ball! My body was starting to coil, and I tried to stop thinking by closing my eyes even more tightly. That only made the boundary between the skin of our entwined bodies even hazier. My husband the snake opened his mouth and swallowed me headfirst, and I desperately resisted his sticky, moist membranes, but soon the inside of his body became a pleasurable place to be. By then I was actively feeding my body to him to be devoured. He seemed to be enjoying eating me up so much that the sensation of it spread to me, and I felt as though I were tasting my own self. From The Lonesome Bodybuilder. Used with permission of Soft Skull Press. Copyright © 2018 by Yukiko Motoya. English translation copyright © 2018 by Asa Yoneda.